I have made my way back to Canada to be with my family for the break. 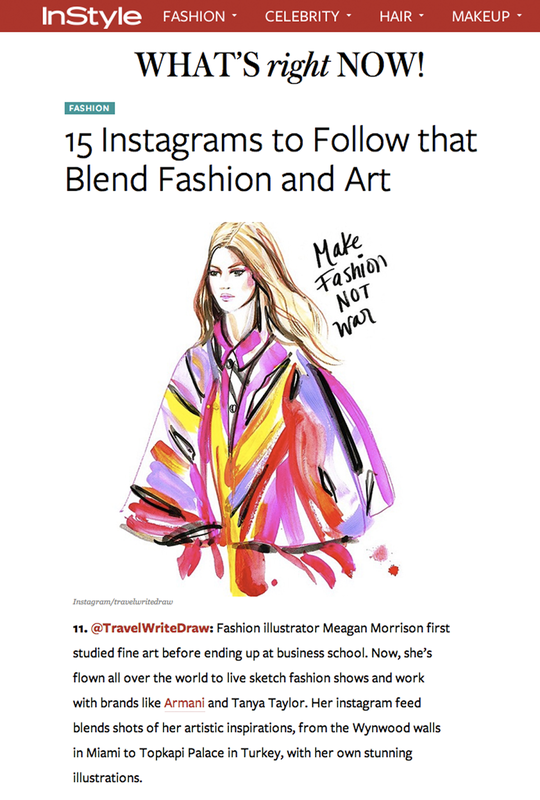 I was so pleasantly surprised last night to discover this InStyle Magazine article which features my Instagram @TravelWriteDraw as one of the Top 15 Fashion Meets Art accounts to follow!! I'm so honored to be included alongside some of my favorite accounts out there like @PariDust, @HomeontheRunway, and @Kalen_Hollomon. So much has happened this year since starting my own company. I feel incredibly blessed but also very nervous about maintaing the momentum with the holidays approaching. It seems that opportunities keep getting bigger and better. How does one keep it all going?! I'm looking forward to writing some more retrospective and helpful content on the blog this break. My hope is to help anyone out there who is also contemplating starting on their own.